Rune ᚠ Fehu literally means sheep, cattle, or livestock. Livestock indicates wealth, especially for farmers of ancient days. The strong association between a healthy herd and wealth is present in every culture and old Norse is no different. Because of the associations, this rune is linked to an individuals possessions, what things they have that contribute to their material wealth. 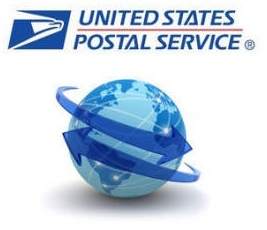 You will receive a pendant in like or better shape than the one above. 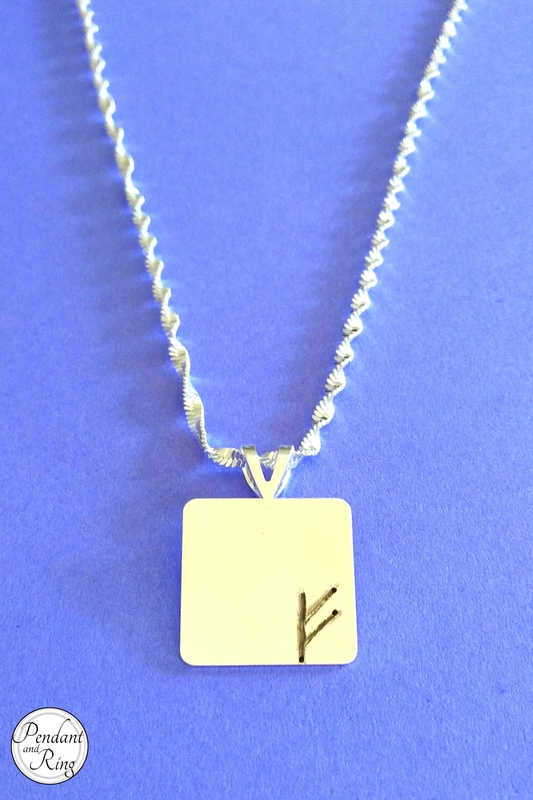 The pendant is a silver-plated 1.7cm square with an engraved ᚠ in the lower right corner. 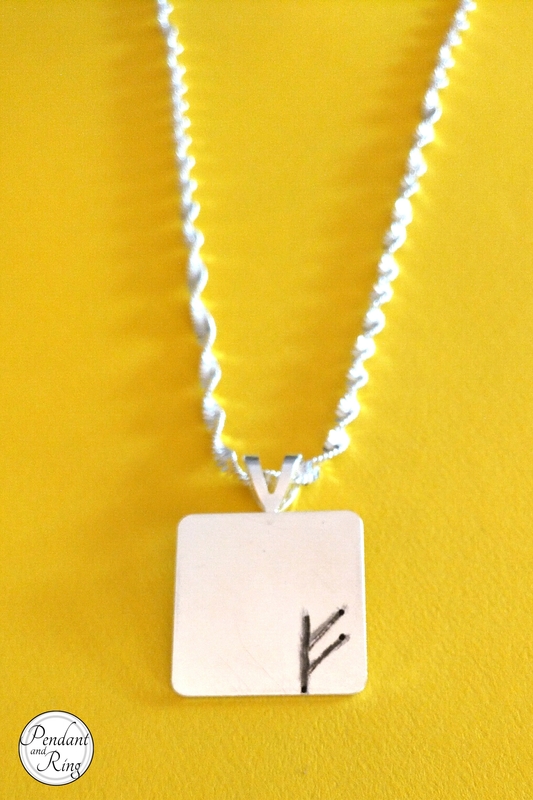 The word wealth is engraved on the back to indicate the meaning associated with this rune. Whether you wear it as an affirmation to welcome abundance into your life, or as a reminder to be grateful for what you have is up to you. 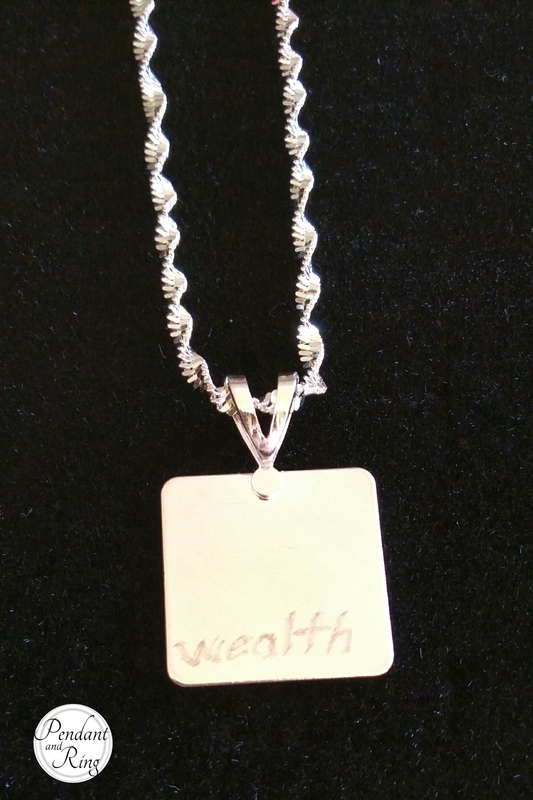 The pendant is on a 30 inch twisty, diamond-cut, silver-plated chain.